With the best keto supplements you can get into ketosis faster without thinking too much about the keto diet itself. Click here to jump ahead to the Top 5 Keto Supplements. You too can to achieve the results so many others are seeing from using keto supplements. I will do the hard work for you and find out all you need to know about the best ketogenic supplements out there that guys are using to achieve that perfect body. I have trawled through ketone supplement reviews and user comments to find out for you! So don’t stop reading now! You will soon find out all there is to know about how to get into ketosis, the best keto supplements for weight loss and bodybuilding, plus a whole lot more. So let’s begin the quest for knowledge on ketone supplements. What Do Exogenous Supplements Do? Over the last few years we started to hear all about these miracle keto diets, but what do we really know and understand about them? Ketosis is where your body gets energy from fats rather than carbs. So basically it is a metabolic state, where your body uses ketones instead of glucose for energy. That way, people get their body into a state of ketosis in order to lose fat; they do this by following a low carb, high fat diet. This lowers insulin and blood sugar levels; it also moves the body’s metabolism away from carbs and towards fats and ketones. 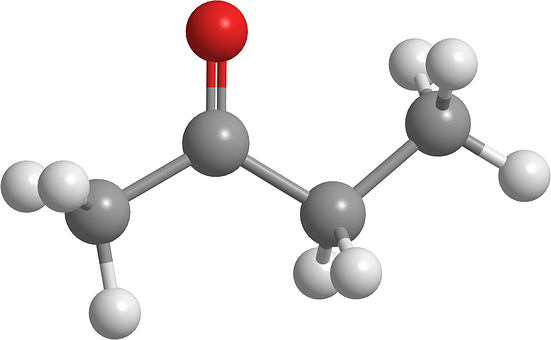 So why should you use exogenous ketone supplements? First of all you need to know that exogenous ketone supplements are not weight loss supplements; they are nutritional supplements. They are used to get your body into ketosis, which means your body will burn the fat that you eat, as well as all the body fat you have stored up. The body fat burned will be used for fuel and will help the body to utilize oxygen better to create energy and will, therefore, also lead to weight loss. So why take keto supplements? If you are following a keto diet, it can be difficult to stick to at times because you are very restricted in what foods you can eat; some people who are following a full ketogenic diet have very low energy levels. They can be used between meals as a targeted way to get the benefits of ketosis or, if you are an athlete that cannot maintain a keto diet because you need carbs, you can also use the exogenous ketones to power your workouts. Even if you are just following a normal keto diet and you eat something that will kick you out of ketosis, taking these supplements will instantly get you back into ketosis rather than having to wait 2 – 3 days if you try to do it by diet alone. So now you know all about exogenous ketone supplements, let’s move on. How Do the Best Keto Supplements Work? How do the best keto supplements work and what are they designed to do? Remember that these are supplements, which means they are not going to make you lose weight as soon as you start taking them. But they are going to increase your chances of doing just that. If you are using the best ones, they are very effective! They do not cause weight loss, they cause ketosis! This is the metabolic state where your body uses the fatty acids as its primary source of energy. Just because you are using fat as energy, this does not mean you will lose weight! This will also depend on the diet you are following. The supplements can also be used to help get your body into ketosis, so that you are at the starting point for your keto diet. Plus, they can give you a boost of energy while you are already in ketosis. So what is in the best keto supplements that make them so great? Below I am going to give you a list of what you need to be looking for on the ingredients label of the best keto supplements. This attracts and holds water, so it maintains the liquid portion of the blood. It also plays a key role in maintaining blood pressure. If you consume too much sodium this can result in your body retaining too much water and increasing the volume of blood. These are the magic ingredients you should find in the best keto supplements. But Do Ketogenic Supplements Really Get You Into Ketosis? you are not buying magic in a bottle! You are not going to see miracles in just one or two days. But yes, they will definitely speed up the process! So, just what are the best supplements for keto and what are the best supplements to get into ketosis? Now to share with you my top 5 supplements to increase ketosis! This one gets the #1 vote and for a good reason! Core BHB wins top place of the best keto supplements for 2018. Your body reaches a state of almost instant ketosis (generally within 30 minutes). Helps reduce the symptoms of ‘keto flu’ during transition from a carb diet to ketogenic one. Has a 60 day empty bottle guarantee, so if you are not satisfied you will get your money back, even if the bottle is empty. 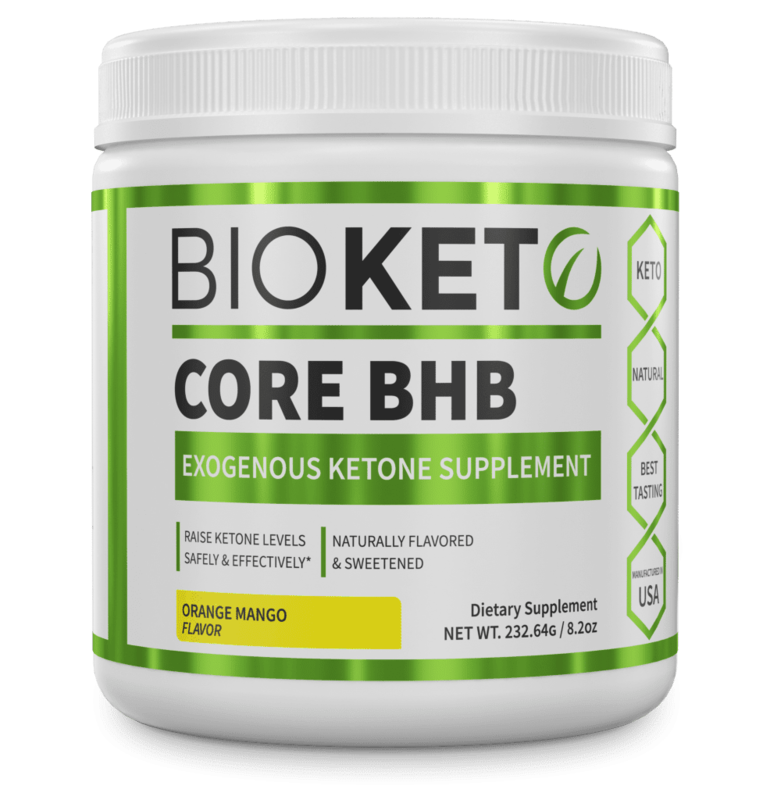 Core BHB is produced and sold by BioKeto, which is a very reputable company with over 30 years of experience in producing dietary supplements. Designed with only natural ingredients of premium quality, this is a product designed to give you the results you are looking for. If you are looking for extra support in your transition from a carb diet to a keto diet or, if you just want your body to mimic the effects of natural ketosis to boost energy and endurance, this is the one for you! Whether you are just looking to lose weight or looking for the best keto supplements for bodybuilding, Core BHB is the one designed for all the above! So if you want to buy the best keto supplement around, you need to go to the official BioKeto website. So this is the one that comes in at #2 of the best keto supplements. While this is a great product and has got many great reviews it still falls below Core BHB in my rating. Unlike Core BHB, which contains potassium, this product has potassium missing from the ingredients. Potassium is a vital ingredient needed for a ketone supplement, so we really need to be seeing it in there. You only get 15 days supply if you are using it on a full keto diet, and the price is premium! The money back guarantee is only offered if the product is returned unused! So this one comes in at #3 for best keto supplements. This has only reached #3 in my top 5 of best keto supplements because, although it has some really great reviews, it does also have some significant drawbacks. The main point is that it is missing some of the vital ingredients needed for a good keto supplement. The reviews for this product are good, but it is just not as highly rated as Core BHB and Perfect Keto. If this product sounds good to you, head over to the official BPI Sports website; it is also available from GNC and Amazon. So this one sails in at #4 of best keto supplements. Marketed by Pruvit as one of its keto OS supplements, this has some good reviews, but nowhere near as many positive comments as the previous products. Keto OS = ketone operating system, which is a revolutionary drink mix that is based on proprietary ketone technology. Still, it is listed in the top 5 for best keto supplements as it does have much higher ratings than many similar products out there on the market. It is a very expensive product and only has 15 servings in the pack. It does have a money back guarantee if you are not satisfied. Finally, Ketoforce is the last to make it into our list of top 5 best keto supplements. Let’s have a look and see why this one made it to the top 5. This supplement has some good reviews and works well overall. People are seeing some great results, but not anywhere near the amount as Core BHB. Its price is reasonable and it has a long shelf life of 3 years. However, one of the main disadvantages to this one is the taste. This product does not come with a money back guarantee. These are all great products, with each of them having some positive reviews and good customer feedback. At the end of the day, I found that Core BHB is by far the best keto supplement in 2018 because, not only does it have very positive reviews, it also contains all the ingredients required from a keto supplement. It is made by a very reputable company with over 30 years experience in this field, so it shows they provide good quality products that people are satisfied with. It is made from premium quality, natural ingredients. It works almost instantly – it can help your body reach a state of ketosis in as little as just 30 minutes! If you are already on the keto diet and suffering transition symptoms, this one will help you reduce symptoms of ‘keto flu’. It has a great empty bottle money back guarantee. You can still get a refund up to 60 days after purchase, even if you send an empty bottle back! Really, what more could you want from a supplement? This one has it all and this is why it is my #1 choice of best keto supplement for 2018. Yes, it works perfectly well with keto and does not require carbs to function. In fact, some people recommend this as a good one that you should be taking while on a keto diet. If they contain all the required ingredients needed for a ketone supplement they will work just as well as the liquid or powder does. However, you should stay away from the raspberry ketone pills because these are not the same as exogenous ketones and will not give you the results you are looking for. Yes, it is very effective for losing weight. It helps you lose fat and preserve muscle, plus it has other health benefits. For maximum weight loss, the level needs to be around 1.5 – 3 mmol/l, but even at 0.5 – 1.5 mmol/l you will still be getting a good effect on your weight loss. To increase ketosis, you need to use an exogenous ketone supplement. The one I highly recommend is Core BHB from BioKeto; this is by far the best one for 2018.